Some may think I’m biased on this topic since I’m a B2B marketing consultant, but I spent most of my career as a corporate employee where this question often came up. Having been on both sides I’m comfortable conveying some unbiased tips. Figure out or refresh my brand strategy, unique value proposition, and message. Get me into the 21st century with the latest B2B best practices such as content marketing, lead nurturing, and marketing automation. Rethink my marketing organizational structure through the lens of data, technology and marketing operations (vs. my current lens of traditional media, tradeshows, direct email and public relations). Align the marketing and sales functions towards a common goal. 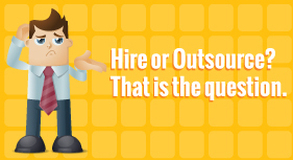 Until you’re sure of the type of help you need it’s difficult to know when you should outsource vs. hire. Below are some commonly used cases for outsourcing that may resonate with your situation, along with some different options that may be worthy of your consideration. Some leaders have a well-defined marketing strategy but are unable or are too close to the business, to develop a brand strategy and messaging framework that map to customer insights and behavior. Sometimes it’s helpful to hire a brand strategist who can drive a well-oiled process that is proven to get you what you need. Once done, the resulting framework can be handed off to various departments in the organization to implement and manage. Another option is to use a permanent marketing strategist who can drive the process; allowing that person to outsource various details of strategic planning such as research, customer focus groups, executive roundtables, and data analysis. In B2B there has been more focus in the last few years to better integrate marketing and sales functions given the impact of the Internet in helping potential buyers with their research and educational process. This can inform a strategy for marketing communications to play a bigger role in helping the company to “get found” online and to support the sales process. It can also inform a need for sales teams to play a bigger role in education and thought leadership during the beginning stages of a buyer’s journey. There are many consulting firms that specialize in helping companies align their marketing and sales (as well as technology) functions to the B2B buyer’s experience and towards data-driven activities. You may consider hiring a consultant to help with gap analysis and strategic planning to determine the level of integration and alignment needed to meet business goals. A consultant who specializes in sales/marketing alignment can also offer training and internal workshops to help everyone see the value in this new paradigm and learn best practices. In the last several years data, technology and marketing operations have played a larger role for many B2B companies to attract and nurture leads. This may inform the possibility for a different organizational structure that supports a data- and technology-driven strategy. A consultant can be helpful if this is new territory—there are many experts who can offer general advice to get you on the right track and/or help you redesign your organizational structure and roadmap towards this paradigm. Since investment in highly skilled specialists is critical to effectively manage online marketing, data and marketing operations; you may find you can limit your higher-level management team to a single person who oversees and supports that team’s workload. How much of a role does or should content play in driving business outcomes? Is it becoming harder to produce the right level of content to fuel web traffic and support the sales team? How compelling and interesting is your content? These things may be on your mind given content can be an important tool to engage buyers throughout their journey (which in B2B is rarely linear). But to do it right is a lot of work and requires varying levels of competency and skill. Using outsourced partners to come up with creative ideas for design, production and delivery (e.g. 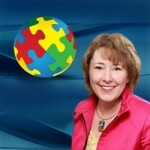 video, Infographics, eBooks, etc.) within campaigns. Another option is to outsource the planning process to an expert to ensure you have the smartest content strategy possible, then use internal staff to integrate critical content marketing tools and manage the development and execution (with incremental support from creative agencies). These suggestions above are just examples and much depends on your company’s size, budgets and goals. I hope they provide food for thought and some ideas for what to think through in the digital age. Download this Infographic summary of B2B marketing outsourcing considerations.